Singapore's first death museum is set to open its gates at theme park Haw Par Villa this weekend. Called Hell's Museum, visitors will get a sneak peek into the space which aims to expose them to Asia's death rituals, funerary practices and various religious beliefs on the afterlife. It will be officially launched in June next year. This comes at a time when topics of dying and death are losing their taboo in Singapore. In recent years, social groups have organised talks and activities on death, including ongoing effort Both Sides, Now which uses the arts to get heartlanders to talk openly about death. The decision to have a theme park operate a death museum drew mixed reactions though. Sociologist Paulin Straughan said that while talking about departures "may break down some of the misconstrued barriers that we have", she believes the topic "should be handled by faith bodies because each religion has a very specific doctrine on the post-life scenario". But cultural geographer Hamzah Muzaini said he is for the museum. "It helps visitors to have some comparative insight into how different cultures see hell before they step into the park's original 10 Courts of Hell attraction." Heritage blogger Jerome Lim said it would have been more appropriate to use the additional space in the park to further promote Chinese culture. But he acknowledged that it has been tricky finding a way to make Haw Par Villa relevant today, noting that the park has struggled to find its footing over the years. He hopes the authorities conduct consultations with heritage experts and the public to help plan for its future. Haw Par Villa is famous among Singaporeans and tourists for its 10 Courts of Hell, which depicts punishments for wayward souls in graphic detail. 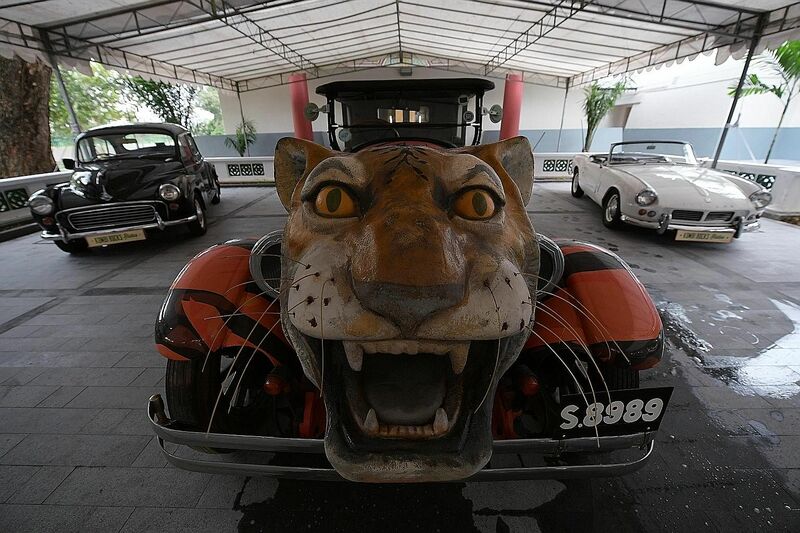 It was built in 1937 by Tiger Balm tycoon Aw Boon Haw, originally as a home. He added statues and dioramas from popular Chinese folklore as he wanted it to be a venue for Chinese culture to be remembered. In 1979, the Aw family, handed the park to the Singapore Tourist Promotion Board, the Singapore Tourism Board's (STB) predecessor. It changed hands in the 1980s and was run by International Theme Parks as a theme park in the 1990s. It was returned to the STB in 2001. In 2015, the STB appointed Journeys to breathe new life into it. STB has spent the last 1½ years refurbishing the site and it celebrates its 80th anniversary this weekend. Of the Hell's Museum, Journeys director Jeya Ayadurai told The Straits Times: "We wanted to take people's visit to another level so that they don't just come here to be horrified but to learn about Asian concepts of death and the afterlife, and contemplate their own lives." Journeys, which manages several heritage sites and three museums, including Changi Museum, said it planned the museum itself. The museum is divided into three sections - West Asia, South Asia and East Asia - and features practices and beliefs from these regions. It also zooms in on the Singapore landscape and how burials which used to be commonplace have since evolved to cremation because of land scarcity. One panel showcases the layout of the Mount Vernon crematorium and helps visitors understand the process. 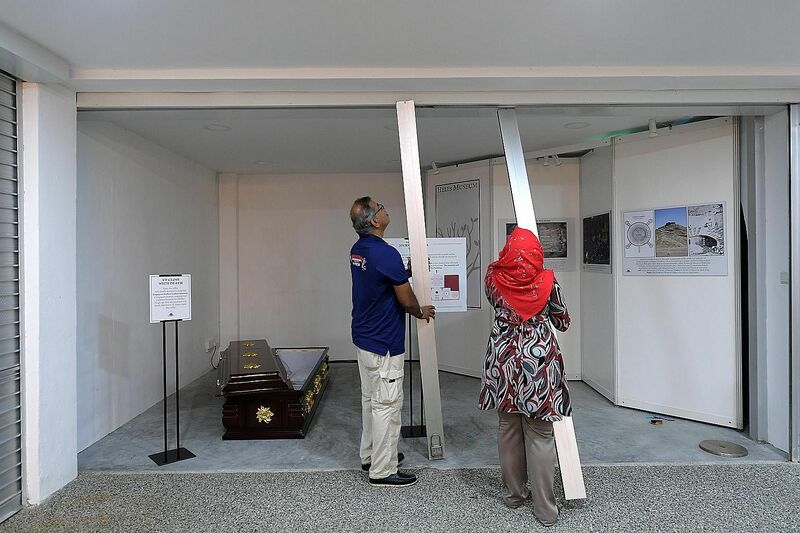 Mr Ayadurai's team has plans to add multimedia elements to the museum and build mock tombs of different ethnic and religious groups to expose visitors to different forms of death architecture. Journeys is also working on a $1 million Rise of Asia Museum at the park. The approximately 1,300 sq m museum will focus on Asian economies and how family businesses in the region evolved into multinational corporations.